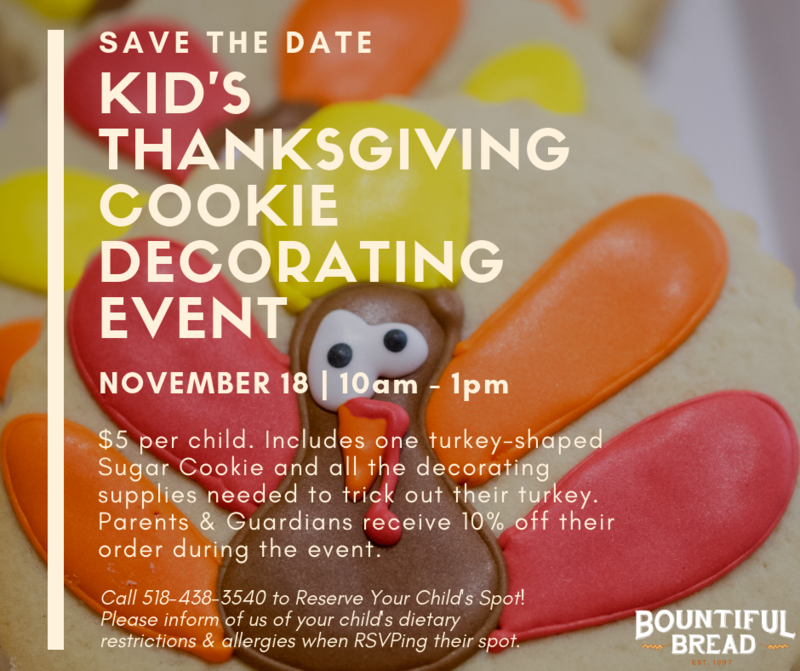 Kid’s Thanksgiving Cookie Decorating Event at Bountiful Bread this Sunday, November 18th from 10am-1pm. $5 per child. Please call 518-438-3540 to register your child. Parents / Guardians receive 10% off their order during the time of the event. This entry was posted in Events, Kids and tagged event, kids. Bookmark the permalink.